Somebody sure likes their Creative Zen Stone media player. In fact, this guy loves his enough that he created a mammoth wooden version of his portable media player. 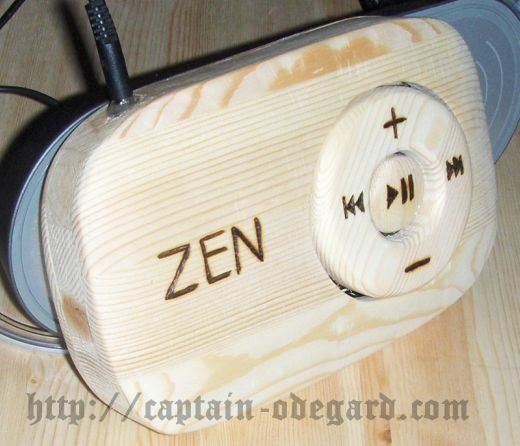 Captain Ødegård’s giant-sized wood media player measures in at 8.25″ x 5.5″ x 2″, giving it about 90-times the volume of a regular Zen Stone player. He even got out the old woodburner to provide all the logo and control icons. 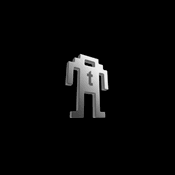 The larger-than-life player is fully functional, packing in 4GB of memory on an SD card, and wooden control buttons that actually operate the player.